Say whatever else you will about Angry Birds (Free) creators Rovio, they know how to make fun, accessible games that have a lot of personality. 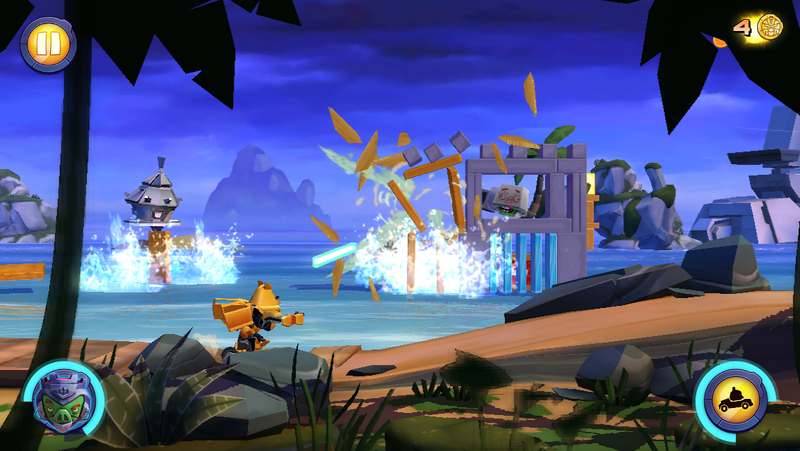 There’s no question that they’ve done just that, once again, in Angry Birds Transformers (Free). It’s not terribly deep, but it’s enjoyable to play and its sense of humor is in exactly the right place, paying respect to the Transformers license while still gently poking fun at it. I walked away from Optimus and company a while back because sometimes it’s not a good idea to revisit your childhood favorites, but playing this game brought back a lot of good memories for me. So, congratulations to Rovio, it’s a nice game that uses its admittedly strangely-matched license well, and does so without retreading the default Angry Birds template, as tempting as that likely was. Unfortunately, Rovio is also rapidly developing another consistent trait, and it’s not something I’m all that thrilled about. Paid Angry Birds games aren’t doing it like they used to, and attempts to launch new paid apps outside of the franchise haven’t gone over too well, either. The big money is in the free-to-play side of the store, and Rovio has picked up sticks and moved over there in earnest, leading with the strongest punches they’ve got, Angry Birds spin-offs. It’s all well and good to get fun games for free, but sooner or later, something has to pay the bills, and that’s where things have gone wrong with games like Angry Birds Go! (Free). 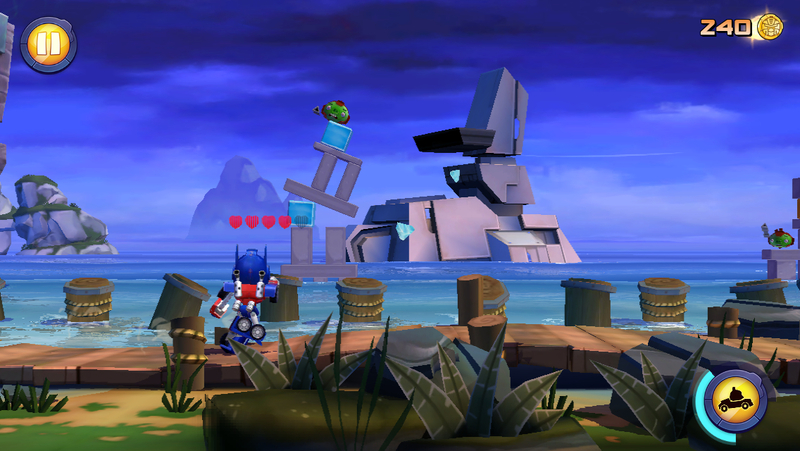 It’s probably little surprise, then, that Angry Birds Transformers also suffers from its need to make some money. Rovio still hasn’t quite gotten the hang of how to balance its monetization techniques, leaving us with a game that might pull you in, but all too soon puts up a paywall high enough to be incredibly discouraging. It all starts off fine, at least. You get an amazing opening animation that tells the story, setting a pace the presentation does a nice job of living up to all throughout. It’s a really nice-looking game, and the birds and pigs mesh with the Transformers designs better than you might expect. The music and sound effects go right for the G1 feel and hit home perfectly. The basic gameplay is actually a pretty clever twist on the classic knock-em-down Angry Birds set-up. You’ve still got pigs in structures made of various materials, but rather than fire shots from a static slingshot, you’re constantly moving forward, blasting away at the background pigs from the foreground. Some of the pigs will shoot back at you, and sometimes structures will fall into your path, taking away some of your life meter. Each of the characters has a different kind of shot, and they all fit fairly well with how each character performed in other games. The stages all run different lengths, but none of them are longer than a few minutes. After clearing them, you’re rewarded with coins and pigs, which can be used to upgrade your characters and unlock new ones. Your character will shoot wherever you touch, and the press of a button can transform them to help them move faster, which is helpful in the case of falling objects. Eventually you’ll unlock other powers for each character, also activated by the press of a virtual button, but you’ll have to charge those up with energon first by shooting background objects. It’s simple, straightforward, and fun. It doesn’t last, sadly. Soon you’ll notice some timers on the stage map, indicating when you can challenge that stage again. Perhaps it’s when you go to upgrade past the first level on a character and notice it puts them out of commission for increasingly long periods of time. Or maybe it will hit you when you look at the skyrocketing prices of opening up new sets of stages or unlocking new characters. Whatever it is, eventually, you’re going to realize that there are a lot of obstructions keeping you from enjoying this simple little run ‘n gun. Naturally, there’s a premium currency you can use to massage some of these issues away, and the game does offer a lot of ways to earn it initially, using a Gameloft-style achievement system that yields the precious material. It spends pretty quickly, but there’s not much purpose for it beyond hurrying along timers, so I guess you can use it at your leisure. You’ll also sometimes find it around the map after clearing stages. Oddly, the gems and timers are the least of your worries. It’s the huge amounts of coins you’ll need to open up new stages that will probably be the end of you. Opening up new stages requires you to have a certain accumulated level between all of your characters, which will cost you either coins and time, or just gems. Then, once you’ve reached the required level, you still have to spend coins to actually explore the area and open up the levels. Cleared levels will generate coins over time that you can harvest, but even with that, the amount of coins you need versus how many you’re earning is completely out of proportion. Yet, even if you wanted to go the whale route, you can’t, because there’s no way to buy coins, and if there’s a way to change gems to coins, I couldn’t find it. I wish I could have spent the bulk of this review gushing over the great little bits of fanservice, or the enjoyable progression of building up your team over time, or even the way the game finds a way to retain the essence of the gameplay from the main games while giving it a spin that makes it feel like something new for the series. I would have loved to have written paragraphs about the awesome visual touches like how when you’re low on life, the play area is covered with a filter to simulate VHS tracking problems. Instead, I’ve spent most of yet another review writing about how an otherwise thoughtfully-designed game has botched its attempt to create a sensible free-to-play model and turned into something you’ll enjoy for a day or two and then toss in the virtual trashcan. Maybe Rovio will end up tweaking this thing back to a sensible form at some point, because it’s really just a problem of numbers right now, but I’m not going to hold my breath. 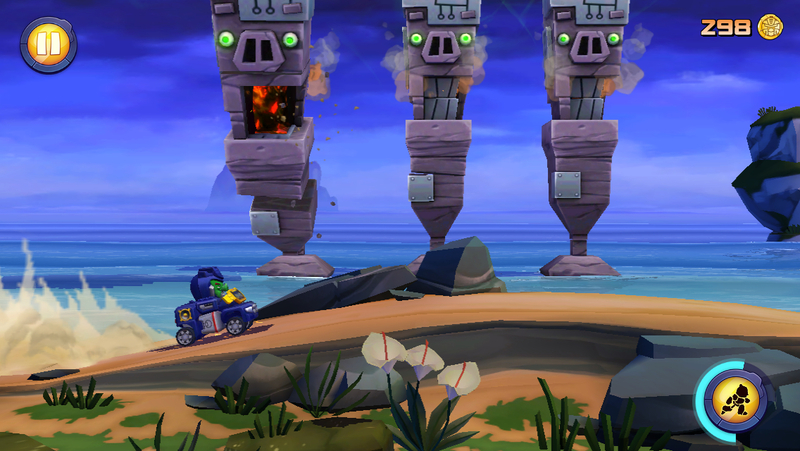 If you love Transformers or Angry Birds, or best of all both, you’ll probably get an hour or two of fun out of Angry Birds Transformers. Beyond that, you’re going to have to have a lot of patience for timers and grinding coins. For some people, that’s not a problem, I suppose, but I’ve got a pretty high threshold for grinding and even I was turned off here. It’s a free game, so there’s likely little harm in giving it a try just to soak up some of what it does well, but just be prepared going in that the good times will last about as long as Starscream’s reign of the Decepticons did.